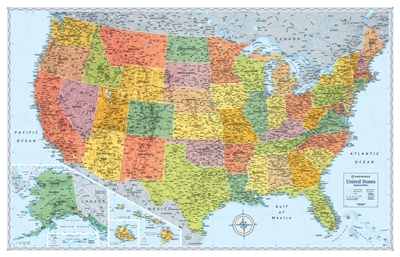 United States Wall Map Signature Edition Rand McNally. 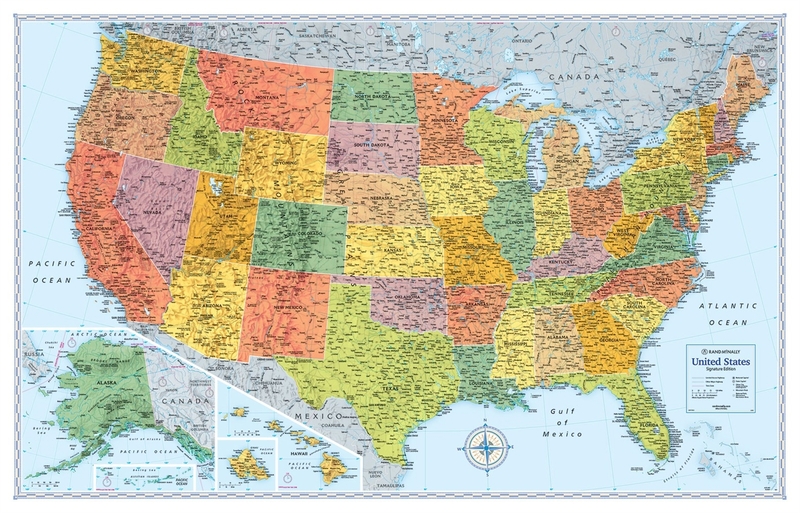 Updated and redesigned, Rand McNally's Signature United States wall map features eye-catching bold and vivid colors that make this the perfect reference piece sure to stand out in any home, classroom or office. The precise detail and digital accuracy shows color-matching relief and other physical features without sacrificing the maps readability. Printed on high-quality 80 lb. paper stock.